Uric acids are the metabolic product of the body which is obtained from protein metabolism. In a healthy body, renal system filters the uric acid from the blood. Uric acid is a waste material of the body and excreted via urine. Purine is the protein substance found in cells and certain food materials such as meat, seafoods are protein rich food materials. 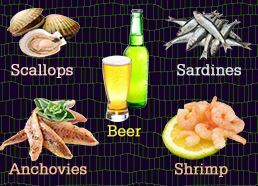 Breakdown of these are produced uric acids. Certain alcoholic beverages and artificially sweeten drinks are also boosted uric acid. Uric acids are readily soluble in the blood. When uric acid production is increased in the blood, then kidney filter blood and excess amount of uric acids are found in urine, which increases the level of uric acid level in urine. If the kidney is not functioning properly or in case of kidney failure uric acid level becomes low in urine and formed uric acid crystals. The increased level of uric acid can cause kidney stone. Uric acid crystals can accumulate in the joints and surrounded tissues. This is termed as gout. Gout is a painful joint inflammatory condition. The deposition of uric crystals occurs at the ankle joint and untreated condition can lead to a hard nodule formation, which is termed as tophi. Gout is the outcome of the increase uric acid level in blood. Shooting pain in the large joints which include ankle, major metatarsal joint, knee joint, and wrist joint. After the onset of pain the intensity of the pain increases over first 4 to 12 hours and then gradually decreases. After initial pain symptoms, the joint discomfort arises and can stay for prolonged time. The affected joints become swelled up, reddish and tenderness is present. Restricted movement is another symptom due to increased discomfort for joint mobility. Urine test is conducted to estimate the amount of uric acid in urine sample which is collected for 24 hours. This is another approach to understand the effect of uric acid crystals in joints. Restriction of seafood, organic meat and alcoholic beverages. Metabolic disorder related diseases also can increase uric acid level. So proper treatment according to the underlying cause is very important to check the uric acids level in urine. In case of stone formation in the renal system, surgical intervention is required to eliminate the stone. The low level of uric acids in the urine indicates increase level of uric acids in the blood. Uric acid enhancement in the blood leads to gout. 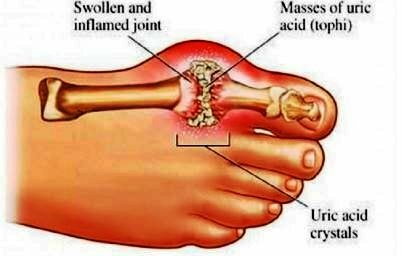 The aim of the treatment for low uric acid level in the urine is to prevent an acute attack of gout and other complications associated with gout which includes tophi formation. Colchicine is the class of medications which are specifically prescribed for gout pain. The high dose of this drug having side effects which include GI tract irritation, diarrhea, nausea and vomiting. Doctors usually prefer to prescribe daily low dose of chochicine, which prevent the gout attack. Non steroidal Anti-Inflammatory drugs: Different NSAIDs are available as over the counter medicine, which include indomethacin, ibuprofen, and acetaminophen which are used for pain relieving and for anti-inflammatory action. Individual who cannot tolerate colchicines and NSAIDs, steroidal drugs are also prescribed for them and also in case of colchicines and NSAIDs do not provide enough benefits for patients. Steroidal drugs can be administered orally or also injection can be administered at the affected joint.